...and many more facts, figures, and info to feed your brain with. 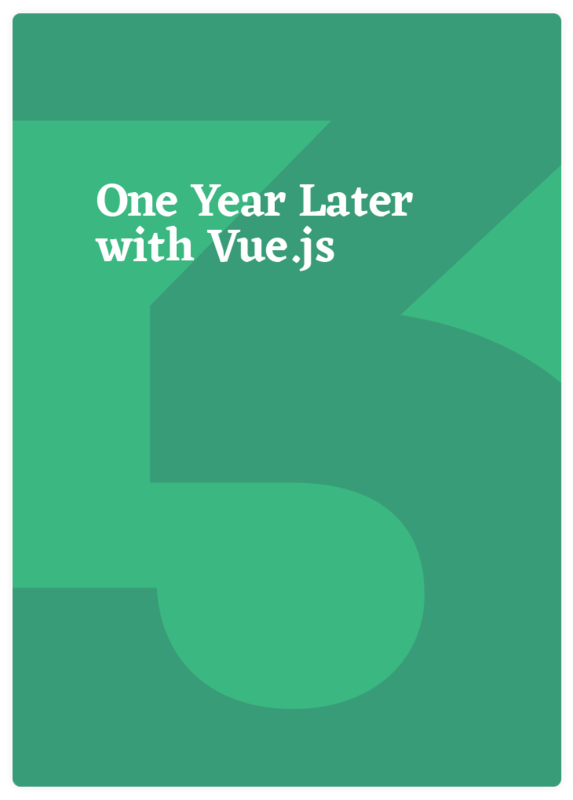 Reading case studies from the report gave me a fresh perspective on some of the main doubts I had about Vue. They provide great examples of how it scales in terms of architecture and teams and prove it's a truly viable alternative for other JS framework. I already described a lot of technical arguments why we should use Vue over React to my team. Having these case studies to back up these arguments are a tremendous support. Really useful document! The testimonials were very inspirational and informative. 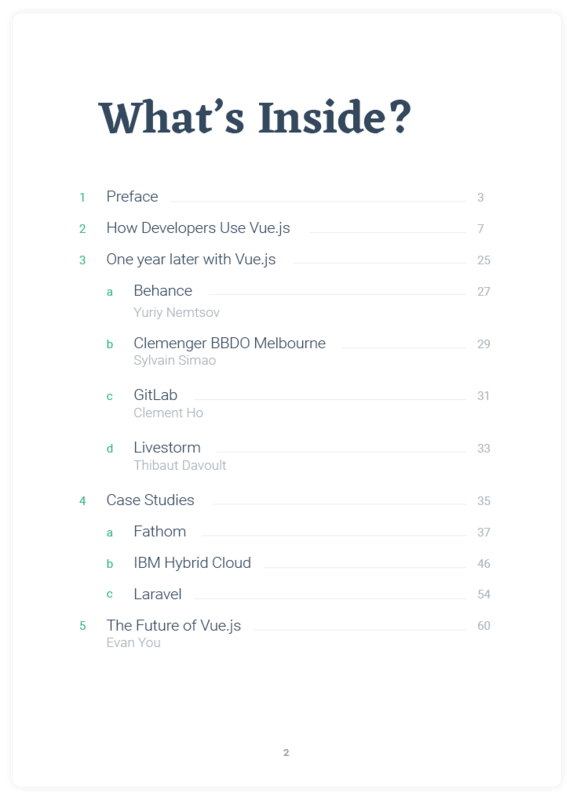 I was set to use React for my next project, but since app performance is going to be key, the report convinced me to take a second look at Vue.js. 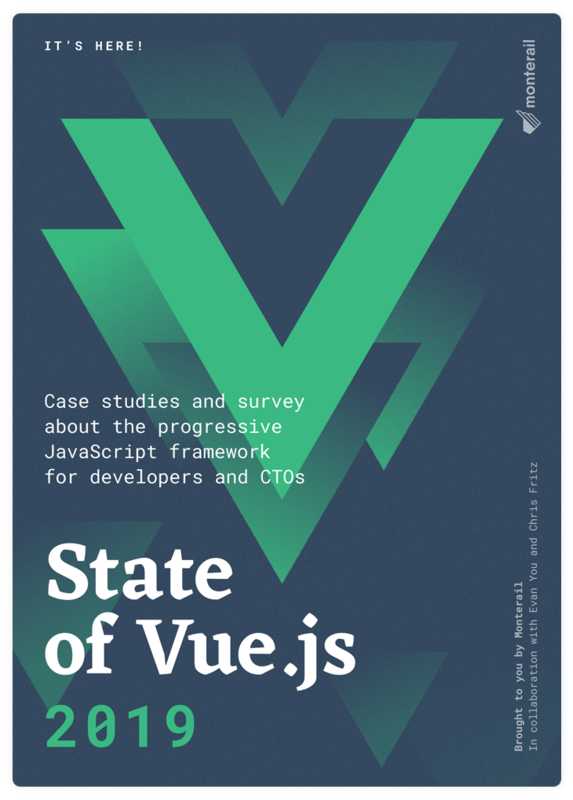 The State of Vue.js report is authored by Monterail—software development company with over thirty Vue-based projects in our portfolio. 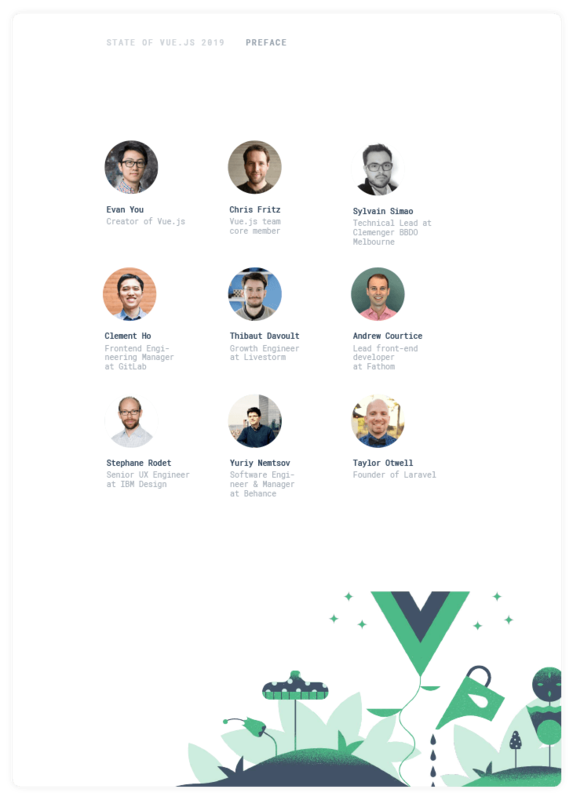 We’re the first VueConf organizers, Vue evangelists, and we kinda love Vue!